The new ECOSYS M5526cdn combines the best colour quality with the lowest of costs and it will ease your workflow significantly, too. Its dual-scan document processor, the 4.3 inch touch screen for intuitive use, and program keys to simplify complex workflows improve productivity and quality this device as an absolute all-rounder. 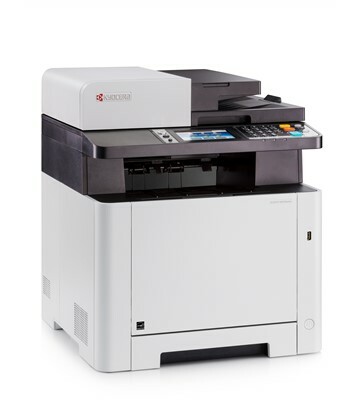 See the manufacturers web site Kyocera ECOSYS M5526cdn for more information.